With a wide variety of Coca-Cola drinks, you can choose the one that best suits your lifestyle, or the occasion you’re buying it for. All of these drinks come in different shapes and sizes, so you can find the perfect portion and amount of refreshment. Watch the animation and find out more! Whether you’re after a small can of Diet Coke for your lunchbox or a large bottle of Coca-Cola to share at a party, Coca-Cola European Partners (CCEP) have got all bases covered with their different packaging sizes – from 150ml mini-cans, all the way up to 1.75 litre bottles. 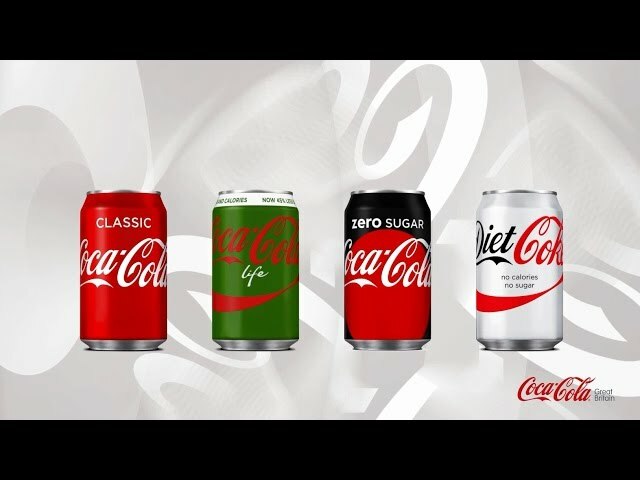 Over the decades the Coca-Cola drinks range has expanded to suit lots of different tastes. Take your pick from other sparkling favourites (such as Sprite and Fanta), still drinks (such as Oasis and 5 Alive), waters, juices, mixers, sports drinks and energy drinks. There’s a large range of low- and no-calorie drinks too, for those looking to cut their calorie intake. All Coca-Cola European Partners’ cans and bottles list comprehensive nutritional information, including Reference Intakes (RIs), ingredients and portion sizes, helping you choose the best option for you and your family. Find out how the Coca-Cola system are reducing sugar in our sugar reduction report.